Auckland’s not a big place but there’s still so much to see and do here that it can be overwhelming. We’ve taken it upon ourselves to ease your burden by rounding up some of the best places to visit in Auckland. These are must do’s that you absolutely can’t miss, whether you’re a visitor or a local. From rugged beaches to lofty landmarks to islands overflowing with wine, this list will make sure you don’t miss a thing. Standing at an impressive 328 metres high, the Sky Tower is New Zealand’s highest building and the peak of Auckland’s skyline. If you’re after that postcard worthy panorama, the observation deck delivers with views spanning up to 80 kilometres on a fine day. 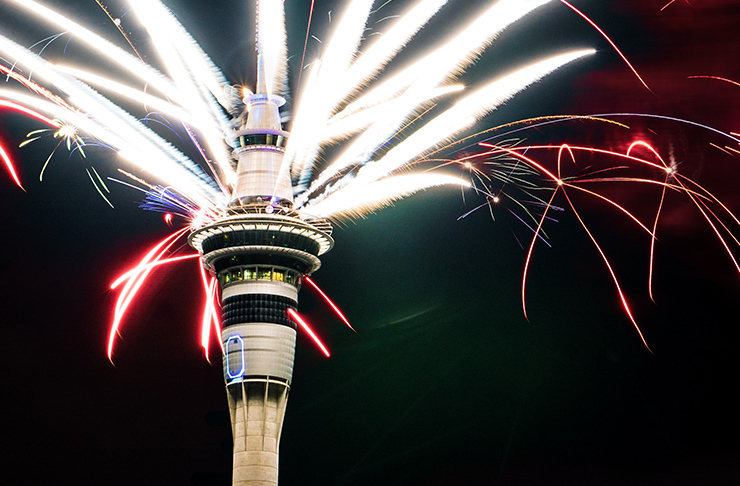 The Sky Tower’s not just about the views though—it’s the perfect place for thrill seekers too. Pick from a wander around the building’s exterior at 192 metres high with the Sky Walk or go all out with the Sky Jump bungee. If you’re not much of a daredevil, take in 360° views of Auckland while you enjoy a delicious meal at The Sugar Club on the 53rd floor. Auckland has a number of islands dotted along its coastline and one of the most well-known of these is Waiheke, the island of wine. Pop over on the ferry and enjoy watching the city fade away as you journey towards paradise. The island is home to a plethora of interesting art galleries and eateries but the real attractions are Waiheke’s beautiful beaches and stunning vineyards. Join a guided tour for tastings of some of New Zealand’s best wines or take things at your own pace and break up all that booze with a stroll along Oneroa or Onetangi beach. 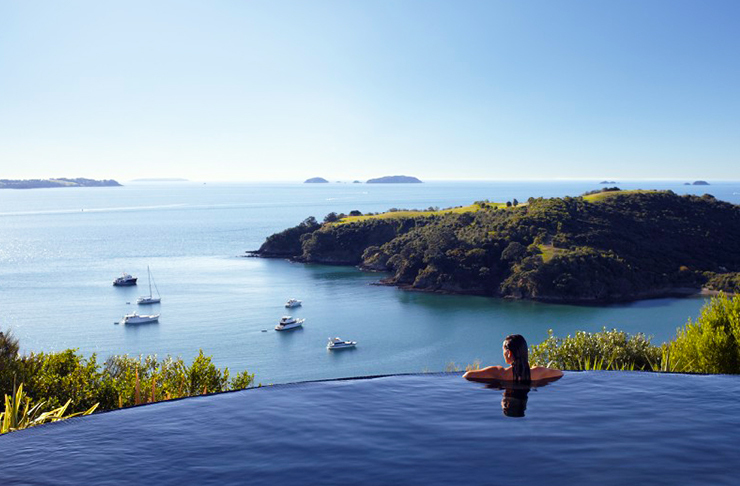 Whether you’re there for a day trip or a weekend, it’s nearly impossible not to fall in love with Waiheke. For a more adventurous island escape, check out Rangitoto. 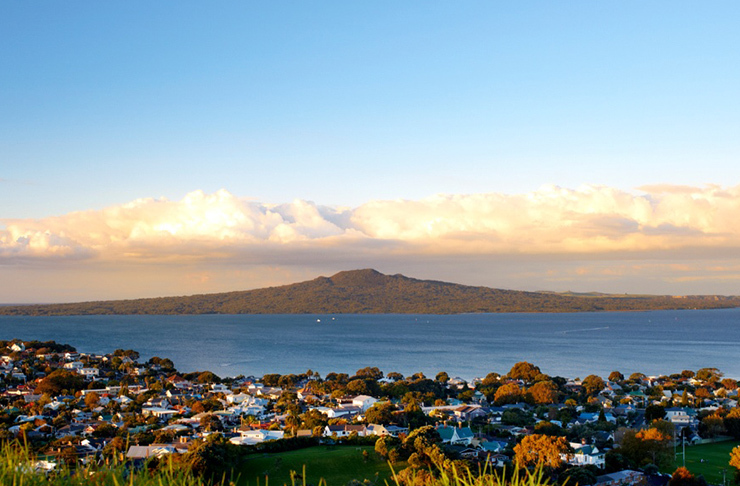 Emerging from the sea 600 years ago, Rangitoto Island is one of Auckland’s many volcanoes. An iconic Auckland landmark, it’s a popular day trip for those keen on hiking, boating and all things nature. The summit track will take you through the world’s largest pohutukawa forest and the views from the pinnacle will take your breath away. The walk up is only an hour long, but make sure you set aside some time to crawl through the lava caves and tunnels you’ll pass on the way up. Visit Auckland’s oldest park, located on the Pukekawa volcano and stroll through the bushy walkways and grassy lawns. 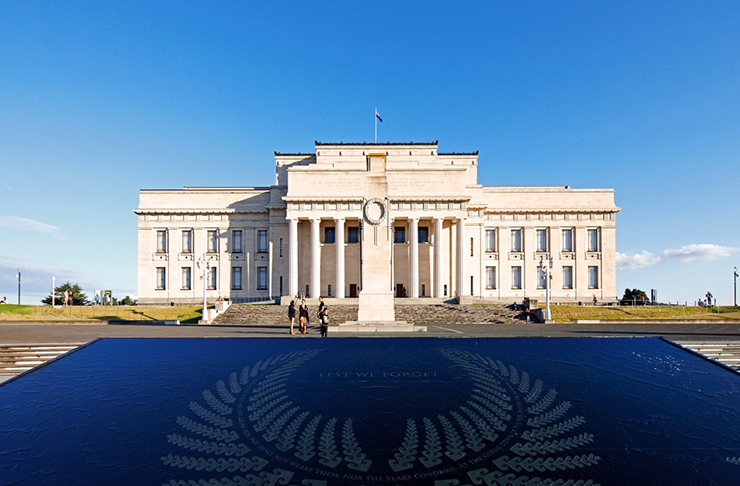 Auckland’s majestic War Memorial Museum is sitting pretty at the top of the hill and the views from its steps are pretty fantastic. The Auckland Domain also contains the Wintergardens, which has two gorgeous glass houses overflowing with flowers and plants. With a fernery, duck ponds and perfect picnic spots dotted all around, there are options galore for things to do at the Domain. 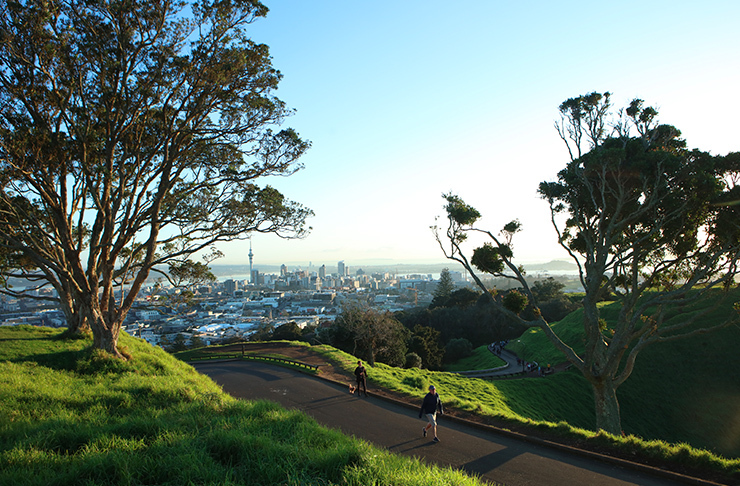 Located just five kilometres from Auckland’s CBD, Mount Eden is the perfect place to catch a sunrise or sunset. Once you’re at the top, the views of Auckland and the ocean are pretty spectacular. The last eruption (it was about 15 000 years ago, don’t worry) left a crater 50 metres deep which yawns cavernously as you wind your way to the summit. Walk all around the top to make sure you see Auckland from every angle then check out Eden Gardens, a 5.5 acre award-winning garden on the slopes of the mountain. After all that walking you’ll probably have worked up quite an appetite so refuel at one of the many delightful eateries Mount Eden Village has to offer. Auckland is known for its stunning coastlines and in this case, West might really be best. 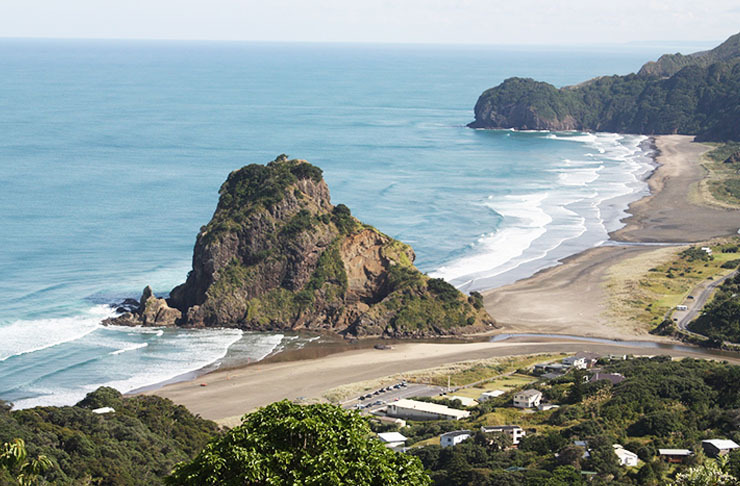 Brave the winding roads and make a trip out to Piha to take in the rugged beauty. The black volcanic sand coupled with the wild waves and majestic forest makes for a pretty epic scene. Take your board out for a paddle in the waves or walk through the native bush covering the cliffs. While you’re out that way, you may as well check out a couple of the other local gems—Anawhata, Muriwai, Bethells and Karekare are all stunners too. Just remember that you can't visit the ranges as we need to protect our precious kauri. 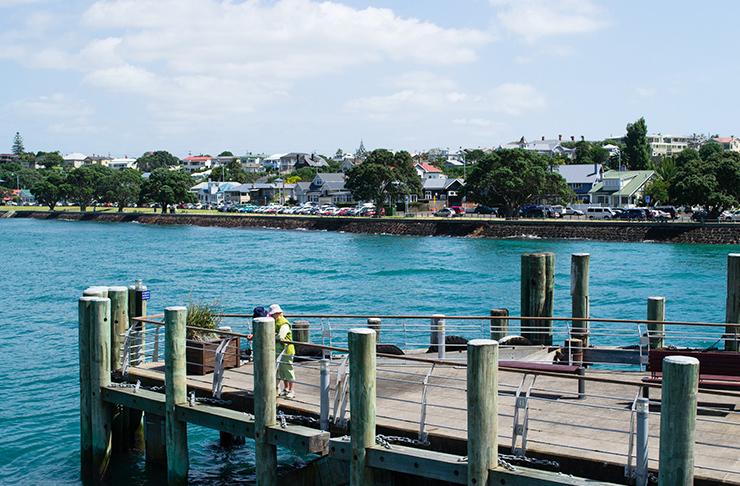 Visit Auckland’s prettiest village and check out historical Devonport. Accessible by ferry or by car, Devonport is situated on a picturesque peninsula and boasts some of the most beautiful bays in Auckland. Pop some manus off Stanley Bay Wharf at high tide or just stroll through the town browsing their tempting selection of cafes and boutiques. Climb up Mount Victoria for incredible views of Auckland city and its harbour, then tackle North Head for awe-inspiring vistas of Rangitoto and the Hauraki Gulf. Get away from the big smoke and drive north to see some of Auckland’s most beautiful scenery. Situated just an hour away from the city lies the Matakana Coast Wine Country which offers plenty to do, see and taste. Pop along to the famous weekend farmers market, sip on some sav at one of the local wineries or tuck into brunch at one of the many excellent cafes. Though it’s tempting to just stay and explore the township, make sure you venture out and investigate the surrounding stunning beaches like Tawharanui and Omaha. We’ve gone north, west and east with this list and now it’s time to go south! 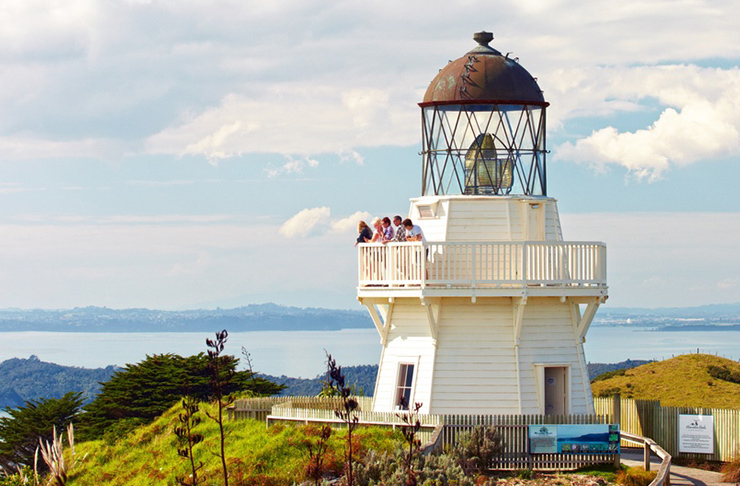 Head to the Awhitu Peninsula to visit one of the few visitor-accessible lighthouses in New Zealand and take in some of the most incredible views Auckland has to offer. Stroll around the Lightkeeper’s balcony or go inside the tower to see the inner workings of the lighthouse. The vistas will span the Waitakere Ranges, the Manukau Harbour, the Auckland city skyline and you might just get a peep of Mount Taranaki in the distance if you’re lucky. Puhoi’s a bit of a hidden gem and well worth checking out if you’re in the area or making a special trip out if you’re not. Tucked away along the banks of the Puhoi River, the village is tiny and tranquil. 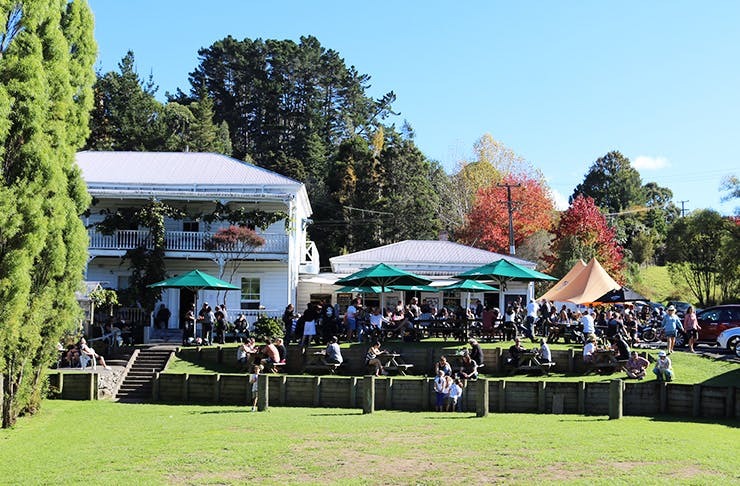 Discover the local Bohemian history at the museum, grab a drink at the Puhoi pub—one of New Zealand’s oldest pubs—or graze on a cheese platter at the Puhoi Valley Café and Cheese Store. If you’re a bit of a fitspo hero, kayak eight kilometres along the Puhoi River to Wenderholm Regional Park to see parts of Auckland you didn’t know existed.